New Year, New You! Living at ONE Mission Bay, residents have a myriad of options when it comes to working on their fitness. From various water activities to our very own gym designed by celebrity trainer Harley Pasternak, there’s something for every person looking to stay fit this year. Mission Creek Park: Take a stroll down to Mission Creek Park for a gorgeous tree-lined esplanade and more than 10 acres of grassy lawn where you can get your sprints done and even do a session of Tai Chi! You can also take advantage of the off-leash area at the end of Berry street for fun game of fetch with your furry friend. 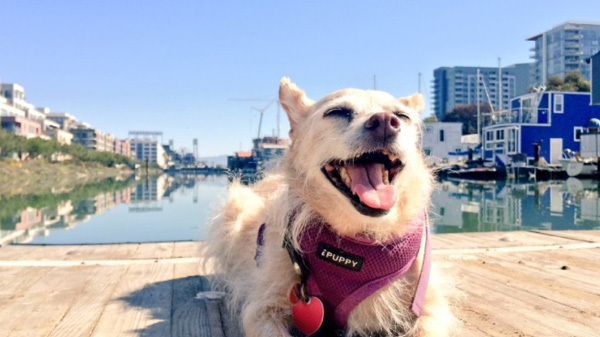 Paddle Board or Kayak in Mission Creek: With immediate access to Mission Creek, San Francisco Bay and McCovey Cove, City Kayak offers stand up paddle boarding and kayaking throughout the day for beginners, experts and everyone in between. 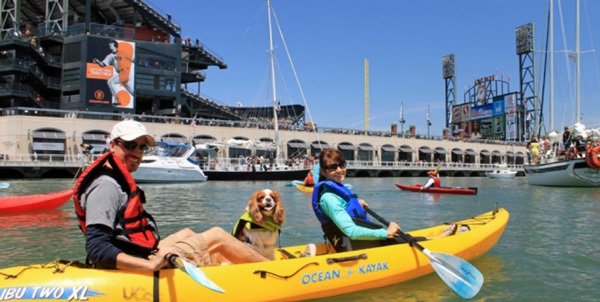 Enjoy amazing waterfront views of AT&T Park and the Bay Bridge while paddling with family and friends! No reservations are needed; walk-ins welcome. Fitness Center by Celebrity Trainer Harley Pasternak: OMB tapped New York Times bestselling author, trainer and nutritionist to create a state-of-the-art fitness center boasting, top-of-the-line equipment and workout options exclusively for residents. Take advantage of the gym-quality weights, treadmills and ellipticals, and don’t forget to jump in the sauna and spa for some post-workout relaxation. LagreeFit 415: Offering a program focused on resistance and counter-resistance, core strengthening, flexibility and cardio all in one workout, LagreeFit 415 is a membership-based fitness center that will be located on the ground floor of OMB’s Park building. After you break a much-needed sweat, don’t forget to stop by Wine Merchant next door for a well-deserved glass of wine!